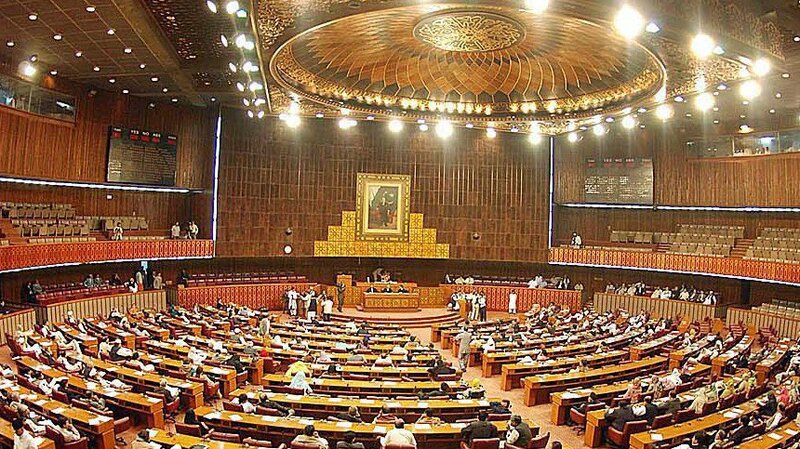 The National Assembly resumed its session in Islamabad with Speaker Sardar Ayaz Sadiq in the chair. The House was informed on Friday that National Emergency Action Plan is being implemented nationwide to eradicate polio from the country. Minister of State for National Health Services, Regulations and Coordination Saira Afzal Tarar told the House during question hour that the situation is under control due to efforts being made by the Federal and Provincial Governments. The Minister of State said that the launch of operation Zarb-e-Azb has provided access to the vulnerable children of North and South Waziristan since July of last year, which will greatly facilitate Pakistan in moving towards polio eradication. She said National Islamic Advisory Group has been constituted to work with local level religious leaders especially in high risk areas to minimise refusals and cover missed children. She pointed out that in order to prevent the export of poliovirus to other countries, around 27,000 outbound travellers are being vaccinated against polio on daily basis. Saira Afzal Tarar told the House that the TB Control Programme is going on successfully in the country and hoped that Millennium Development Goals will be met by the end of next year. She said diagnosis and treatment of TB patients are free in the country. Minister of State for Water and Power Abid Sher Ali told the House that 1,500 MW electricity would be added to the national grid by 15th of next month, which will help overcome power shortage. He said there was increase in duration of load shedding during the recent past due to dip in hydel power generation but the situation has become normal after 21st of this month. He said that six to seven hours load shedding is being observed in urban areas and nine to ten hours in rural areas. He said transmission lines are being upgraded and feeders are being monitored to reduce line losses and check power pilferage. To a question, he told the House that 80 per cent of 260 feeders in Khyber-Pakhtunkhwa are being run on losses. Answering to a question, Abid Sher Ali informed the House that the Executive Committee of the National Economic Council has approved revised PC-I of acquisition of land and resettlement of Diamer-Bhasha Dam Project amounting to over Rs 101 billion. He said the compensation of land and assets has been enhanced from Rs 33.5 billion to Rs 49.8 billion. He said the project is already under execution and is expected to be completed within the cost approved by ECNEC. Replying to a question, Minister of State for Religious Affairs Pir Aminul Hasnat told the House that Ulema of all schools of thought have agreed on fixed time for Azaan, Prayers and Juma Prayers in the federal capital. He said it will be implemented after the approval of the Prime Minister.